Having just avoiding possible nuclear war with North Korea, and following President Trump's announcement of sending more troops to Afghanistan, I wondered when was the last time the greatest nation on Earth last experienced peace. What I discovered was not what I expected, but in hindsight adds up. The truth seems to be that the USA has been at war for 222 years out of the last 239 (since 1776). I also read that a staggering $7.9 trillion is being spent on 'defence'. Before you Brits pipe up, it's apparently impossible to calculate how many years Britain has been at war. My family has an ongoing history of service in the military something which I'm very respectful and proud of. And so I find I'm particularly drawn to anything military inspired within the art, music and fashion industry. I think there is a beauty that can and must be represented along with the horror. 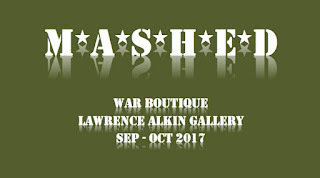 Which leads me to a new exhibition at the Lawrence Alkin Gallery in Soho - M*A*S*H*E*D by artist War Boutique. Although the artist works across the usual mediums of canvas, print and even textile this exhibition is said to feature actual items directly related to war and conflict such as body armour, weaponry and ammunition. Fortunately as civilians many of us never see pieces such as these in the environment for which they are intended, so being able to inspect and get a sense of their purpose juxtaposed with how readily we have appropriated them within various cultural trends is incredibly interesting to me. 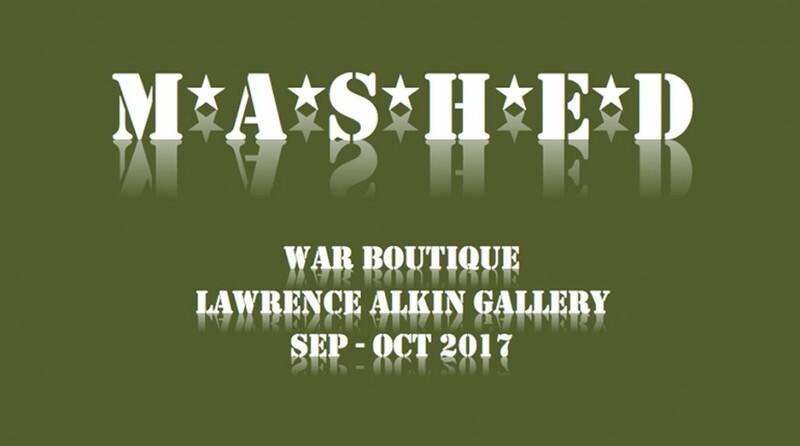 M*A*S*H*E*D runs from the 6th of September to the end of the month, and you can read more about artist Kevin Leahy aka War Boutique HERE.